the warm ground this time of the year often brings. Newfoundland’s coastal exposure to the north Atlantic is nature in the raw. illustrated the feeling of that hard environment. scattered around small coves, ponds, and salt marshes in a delightful random manner. white against the blue backdrop. such as a farm, a youngster finds an escape in the assembly of discarded objects. of these projects, ether as shelter, temporary cover, or wrap to keep curious animals out. Next to duct tape they are every do-it-yourselfer’s best friend. MARK FLETCHER, C.S.P.W.C., is an artist whose paintings tell us stories: stories learned through living in various communities across Canada while he was growing up. 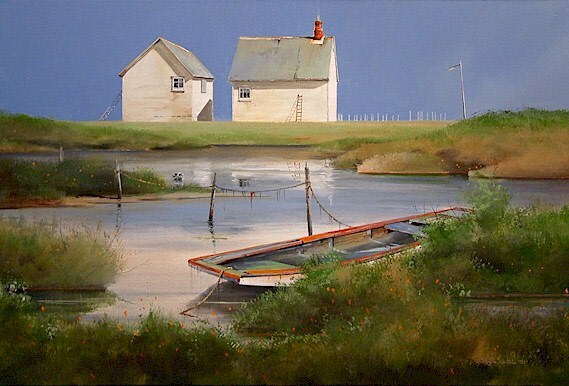 This diversity of background is reflected in the scenes he paints. 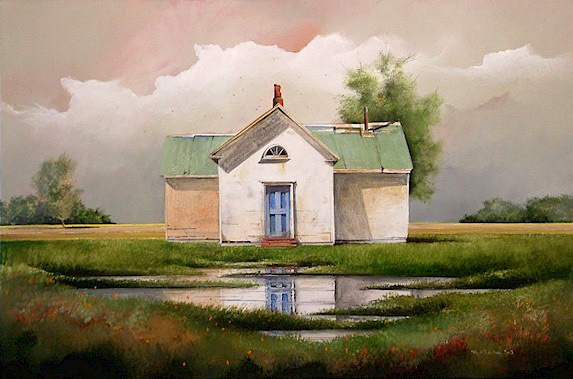 In 1974 Mark enrolled at Trinity College School, Port Hope, Ontario and began a casual study of painting and art history. This interest in the arts continued into university and he graduated from the University of Guelph with a Bachelor of Arts, combined major in Geography and Fine Art. This interest later flourished into a fulltime career. He has studied at the Canadian Arts School in Florence, Italy, and the Instituto Allende in Mexico under the Javier F. Sauza Art Scholarship. In 1986 Mark was elected vice-president of the C.S.P.W.C. 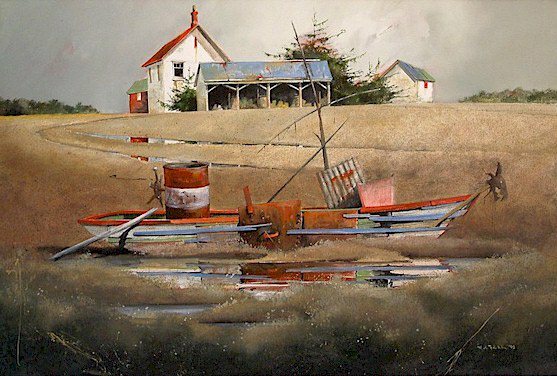 (Canadian Society of Painters in WaterColour) and in 1987 he was elected to the Board of Trustees of the Gallery Stratford. 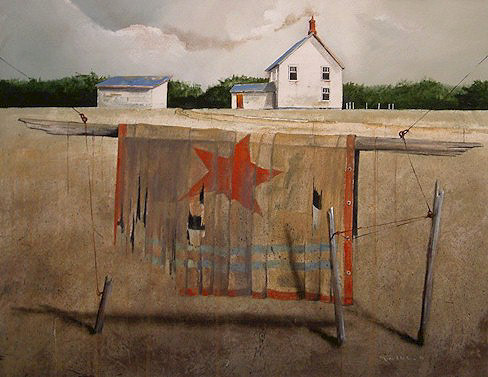 Mark has had several solo exhibitions in Ontario, has exhibited in Ontario House, London, England, and was one of three Canadian artists invited to exhibit at the Lotte Gallery, Seoul, South Korea. He has been the recipient of a number of awards. His work was among those selected for the Diamond Jubilee Collection presented to Her Majesty Queen Elizabeth II for the Royal Collection of Drawings and Watercolours at Windsor Castle. His paintings are found in a large number of corporate collections. 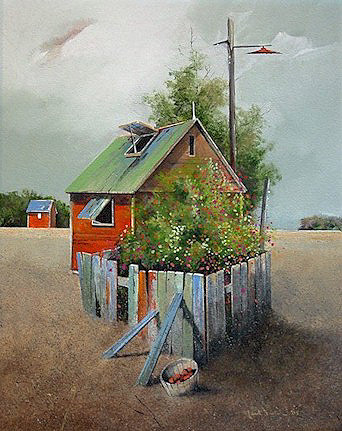 Mark has his studio in St. Marys, Ontario.